High Quality Content by WIKIPEDIA articles! Jameson's Antpecker (Parmoptila jamesoni) is a songbird species found in central Africa. Like all antpeckers, it is tentatively placed in the of estrildid finch family (Estrildidae). 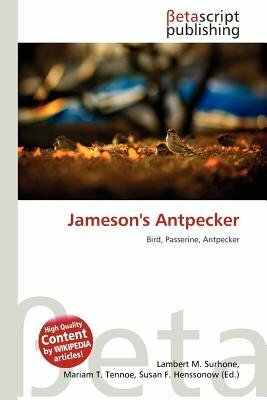 It has traditionally been included as a subspecies of P. rubrifrons (Red-fronted Antpecker) and the common name "Jameson's Antpecker" was sometimes used for both taxa. But today, they are often considered distinct species.